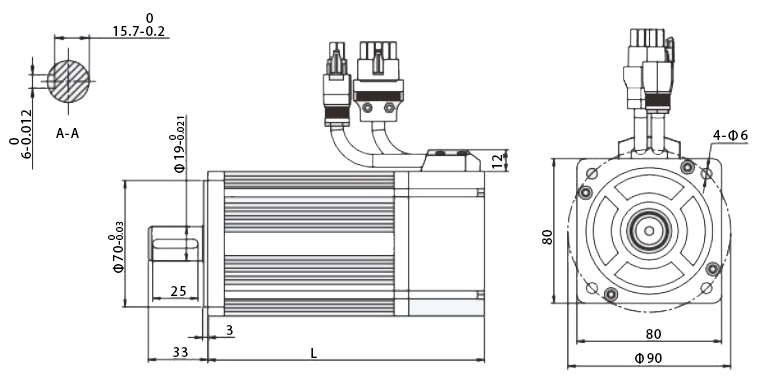 Reasonable price and high quality brushless AC servo motor, rated speed of 2500 rpm, 1000W rated power, 4N.m rated torque, 220V single or three phase input, equipped with a 2,500 PPR incremental/absolute encoder, manufacturer direct sale. Brushless design, precise speed control servo motor, 1.27 N.m, 3000 rpm, 400W, and equipped with a 2,500 PPR incremental/ absolute encoder. It is widely used in factory automation, embroidery machines, printing machinery, CNC machine, wood carving and other fields. 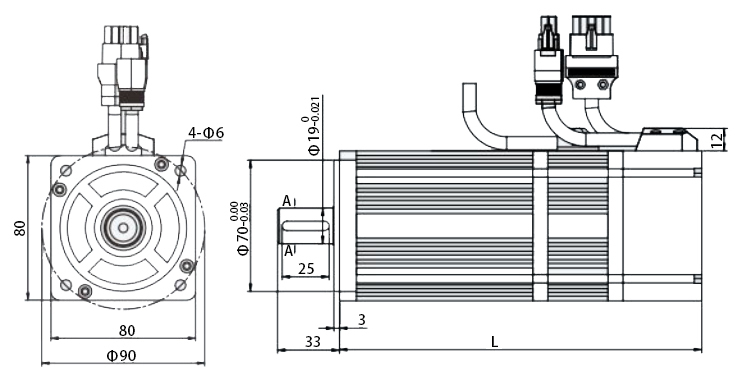 Cheap Price AC servo motor, rated torque of 1.91N.m, 600 Watt power rating, provides 3000 rpm rated speed. Single or three phase 220V AC input, rated current of 3.5A. IP54 for body, long life and high reliable, manufacturer direct sale. 220V AC supply voltage brushless servo motor, single or three phase input, power ratings up to 1.3 kW, rated speed of 2500 rpm, rated torque of 5 Nm, maximum output torque up to 15 Nm. It is available in flange sizes of 130mm square flange size, with brakes and encoder options. 220V supply voltage servo motor, 5 Nm rated holding torque, power rating of 1.5 kW, rated speed of 3000rpm, maximum output torque up to 15 Nm. It is available in flange sizes of 110mm square flange size, with brakes and encoder options available. Reasonable price and manufacturer direct sale. Low cost 800 watt brushless servo motor, 2000 rpm, 220V AC single or three-phase input, rated torque of 4N.m, peak torque value up to 12N.m, 2,500 PPR incremental/ absolute encoder attached, manufacturer direct sale. Brushless design AC servo motor, power ratings up to 1 kW, rated speed of 2500rpm, rated torque of 4N.m, peak torque up to 10N.m. It is widely used in factory automation, embroidery machines, printing machinery, CNC machine, wood carving and other fields. *All above is the standard installation dimension, can be changed according to the customers' requirments. *Not hit the shaft, or the encoder in the other end would be damaged. Tips: Servo motor does not run when the pulse is output, how to solve? Monitor the current pulse output value of controller and check if pulse output indicator lamp flashes to confirm that the controller has performed command pulse and has output pulse normally. Check if the control cable, power cable, encoder cable between controller and driver are matched incorrectly damaged or contacted poorly. Check if the brake of servo motor equipped with brake has been turned on. Monitor the panel of servo driver to confirm if the pulse command has been input. For control mode, always choose position control mode. Check if the type of input pulse set by servo driver matches with that of command pulse. Ensure that positive side drive prohibition, negative side drive prohibition signals and deviation counter reset signal are not input and the servo motor runs normally if load is removed, then check the mechanical system. This video is an overview of designing servo linear actuator system using a ATO servo motor (50W to 7.5kW) for automation equipment like robotics. What is the maximum RPM for this servo motor? Dear friend, the rated speed of this servo motor is 2500 rpm, it can reach max speed up to 5000 rpm when on no load. I ordered this servo motor for a friend, for a project he was working on. He is very happy with the motor. I wired and installed it, and I too was pleased. The overload is great, and the wires are very well marked easy to read. The wiring schematic is also clear and easy to read. Great servo motor, I would recommend it.